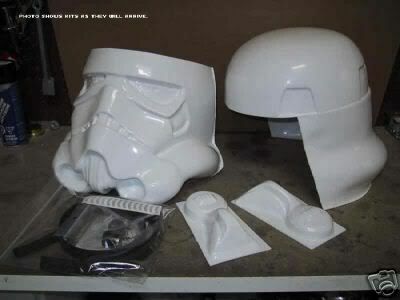 For a while, many of us have seen a very nice looking helmet kit on eBay being sold by a Seller going by "newimage58." When I contacted newimage58 last year and asked him regarding the source of his casting, he said that he was unsure of the origins but he significantly modified a kit to make it far more accurate based on his extensive study of screenshots. 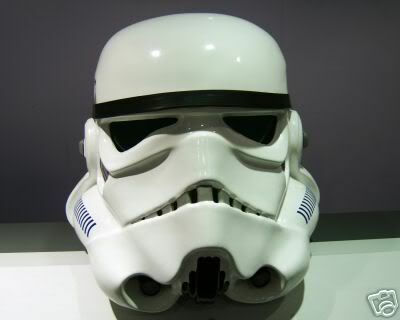 (Above two shots: The newimage58 fiberglass helmet, finished). 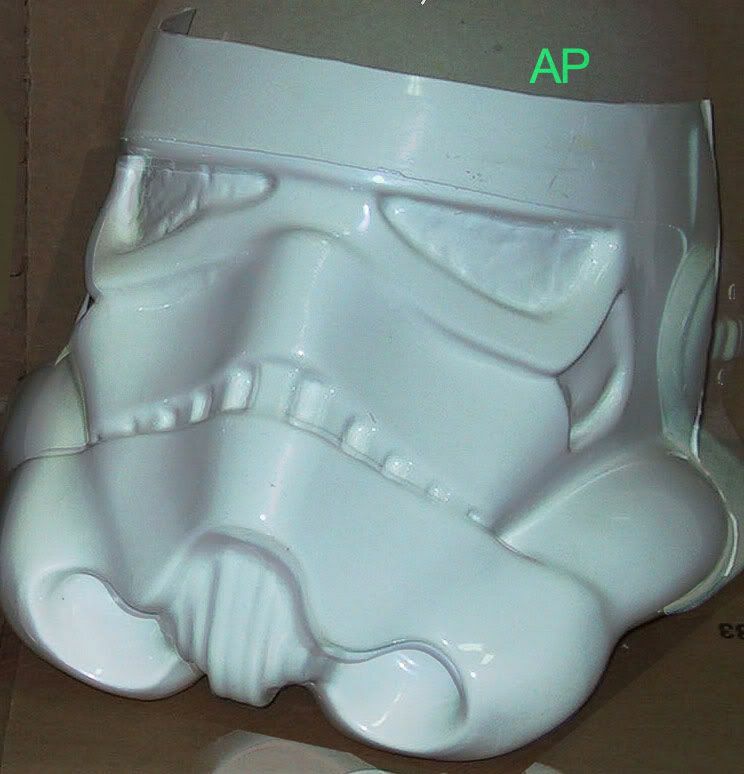 Most recently, one of our fellow Den members and I were discussing AP helmet kits on eBay when one particular low-res photo of an AP (AuthenticProps) kit stood out. The eyes were not yet cut, and there was a distinctive rough pattern of dips/holes of the "placeholder lens" of the wearer's right eye (camera's left). There was indeed a crater/hole pattern in the wearer's right eye's "placeholder lens" and thus an opportunity to compare it against that of an AP. Photos of AP's eBay auction were small, so I contacted AP who graciously sent me hi-res images. I asked the fellow Den member to photograph his helmet to match the angle and distance of the AP as closely as possible (as you've seen in the previous shot). (Above: AP's kit on the right with newimage58's helmet superimposed on the left). I'm always one to give a vendor the benefit of doubt. I had previously thought that newimage58 started with an inaccurate kit and applied a lot of clay and sculpted a lot of detail. When I examine this, I cannot see any appreciable difference between the AP (right) and the newimage58 (left). The crater pattern in both placeholder lenses are identical. The newimage58 appears to suffer from a loss of detail around the mouth and chin area, as the AP is clearly sharper and superior. The teeth are in identical proportions. There are various subtleties of the AP that were reproduced in the newimage58, but I'd prefer not to disclose them as we rely on these subtleties to track for recasting. Could newimage58 have taken an AP and made significant structural modifications? There have been people in the fandom who believe it's okay to recast someone's work so long as you put significant modifications (this is, of course, a gray area. 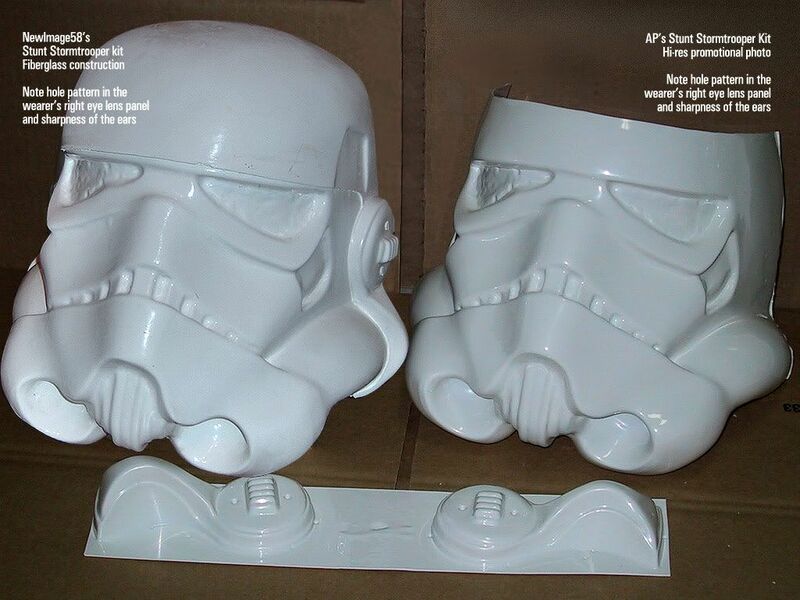 However, I need to point out something black and white: there is a difference between doing minor mods such as sharpening detail versus uber mods such as altering the actual structure of the helmet). 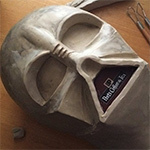 If vendors do not approach responsibly and honorably, they can use trick-logic to give themselves license to steal from other fans who go out of their way to purchase props and to make affordable kits available to fellow fans. Well, here is the newimage58 helmet in transparent overlay. It's not perfect due to differing angles of photography, but I must say that it almost perfectly matches up feature for feature, especially the eyes. Based on this overlay - which confirms the side-by-side analysis - there does not appear to be any modification to the structure and shape that could be construed as an improvement over the original AP. I've since contacted AP and forwarded the analysis to him. I asked him to consider that newimage may have indeed modified a kit whose make he was unaware of. AP's reply to me was, "Looks like a recast to me, especially the face plate and ear pieces. I don't see what he modified as it looks identical, you can clearly see the same exact tells in the eye sockets, it's a exact imprint." Last edited by CSMacLaren on Thu Feb 28, 2008 8:31 pm, edited 1 time in total. Without being sarcastic, it is obviously a recast to me because it is in fibreglass. I would never buy a fibreglass one piece helmet from the bay! EDIT: If it was cast from an original, he would surely be proud of the fact have mentioned it in his auctions. The research is very thorough and thanks for bringing this to our attention Mac. From what I can see from your presentation they are identical... and since we aren't all equally knowledgeable about what to look for I think it's a good idea to post these things, when they are found out. That was the Oakley NHM. 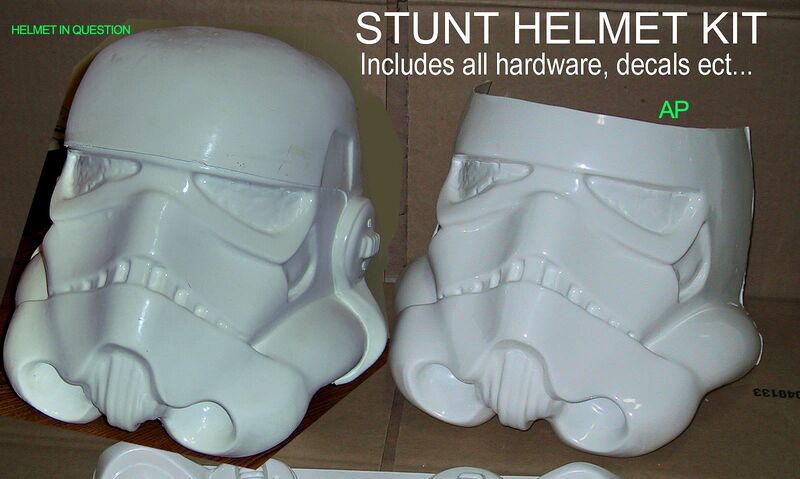 I am far from an expert on Stormtroopers, but for the newbies, NEVER buy a fibreglass helmet on eBay without extensive research. That is an excellent suggestion to newcomers, but bear in mind that a great majority of eBay shoppers do not study props and have no idea about these things. Even large costuming organizations may not be very aware of the intrinsics of the prop industry. And some, quite frankly, don't care like we do. 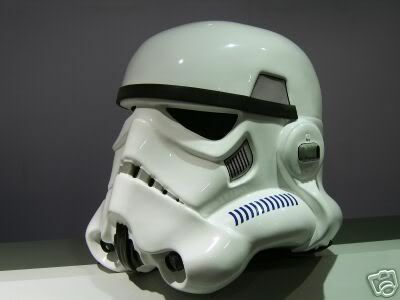 Just to re-iterate, I am not the owner of this helmet, nor am I the one who found the correlation between the two helmets. I'm only independently doing my own Photoshop analysis. You decide on the results. 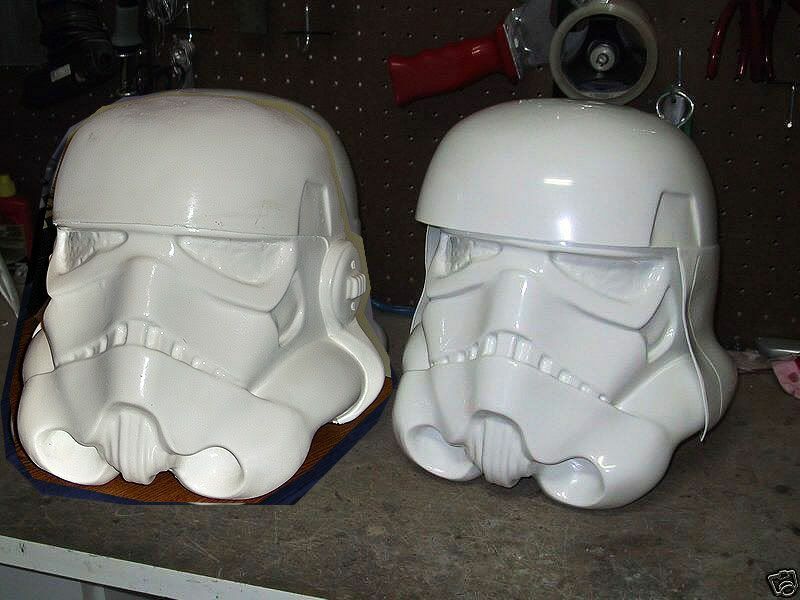 The Matizza RotJ helmets were also done in fiberglass. Mac did you get his name during your discussion? I have a feeling he may be a member of the UK Garrison. I don't know who he is off-hand. I just checked his most current auction and, at the time of this writing, the item location is West Yorkshire, United Kingdom. 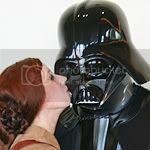 His profile also reads that he's in the UK, so there is a possibility he's with the UK Garrison. Does West Yorkshire remind you of anyone in particular? I reckon his name might be Chris Hob. So on his webpage he copied the MR and Java ep3 lids...and now this...fair to say this boy doesnt create much. Last edited by CGClone on Tue Mar 04, 2008 5:37 pm, edited 1 time in total. 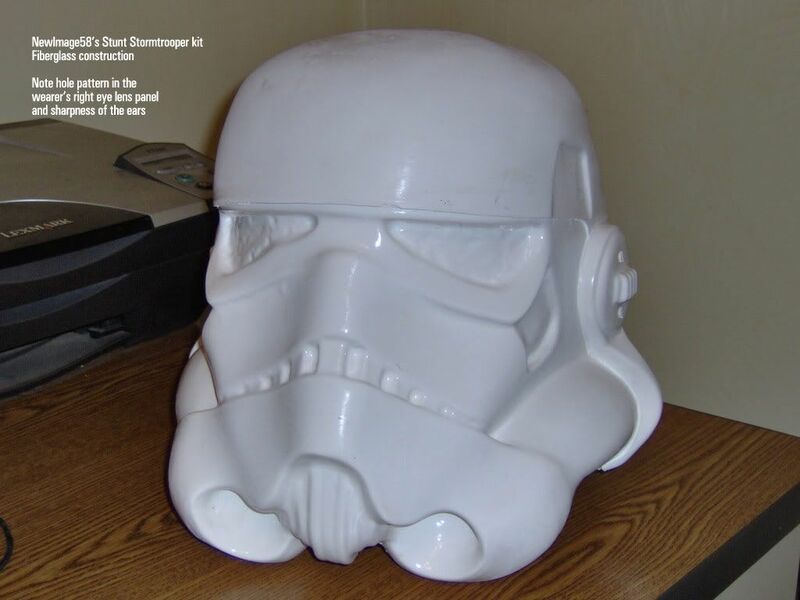 This is not a recast of any available stormtrooper helmet,the helmet is an original sculpted design based on stormtrooper helmets from the movie. I mailed him back and told him not to treat people like they were stupid. Does West Yorkshire remind you of anyone in particular? Do you know where abouts? 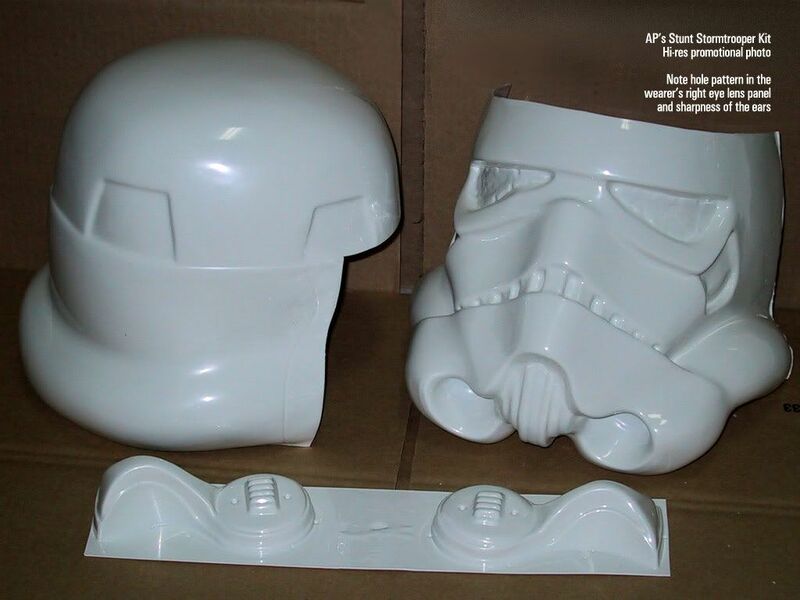 I've seen sellers from Castleford and also Leeds selling trooper itmes on ebay, but I don't know anyone who is in the hobby up here. Maybe the UKG boys might know? oh you guys are just jealous! I mean, the talent that guy has to EXACTLY DUPLICATE the locations of all those little pits and dimples in the eyes!! Anyone would be envious of the uncanny ability to reproduce that from scratch!!! !